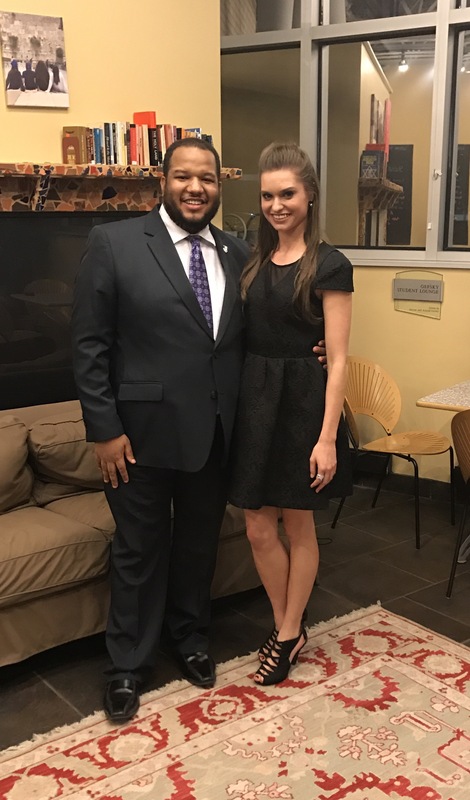 On Sunday, February 18, Michael Warren and Carly Koza, both students in the Mary Pappert School of Music, were selected to advance in the semi-final round of this year's Campus Superstar. The annual event, run by the Edward and Rose Berman Hillel Jewish University Center of Pittsburgh, brings together students from colleges and universities in the Pittsburgh region in an American Idol-like vocal competition. Following Sunday's semi-final round, Warren and Koza are two of 10 finalists vying for the grand prize of $5,000. From the Campus Superstar website, "Campus Superstar is a professionally-produced musical spectacular, where performers are accompanied by a full band, with all of the "glitz" that one would expect from a concert or Broadway show." Warren and Koza were two of four Duquesne students who competed against other contestants from other local Pittsburgh universities. Mary Pappert School of Music student Kate Kratzenberg, along with Angela Griffo, a student from the McAnulty College and Graduate School of Liberal Arts also competed in the semi-final round. Koza, who performed On My Own from the musical Les Misérables, will graduate this May with two degrees from Duquesne University, a Bachelor of Music in Performance and a Bachelor of Science in Biology. When asked what being in the top ten contestants meant to her, she said, "When I heard my name called I was shocked. I have never been surrounded by so much phenomenal talent in one room. I gave it my all in the performance, and I am thrilled to be able to represent Duquesne University in the finals on the Carnegie Hall stage alongside nine other extremely talented and hardworking individuals." Warren is also a senior, finishing his degree in music education this May. He made a very conscious decision to sing The Greatest Love of All (originally performed by George Benson and later made more famous by Whitney Houston) saying, "In the event that I didn't get to move on, I wanted to have left [the competition] knowing that I had at least sent a positive message, which is why I chose The Greatest Love of All." Both students now advance to the final round, which will be held at Carnegie Music Hall in Oakland on Sunday, March 26, 2017. That concert will begin at 7 p.m. Tickets are available at hilleljuc.org/campussuperstar.